We’re celebrating a 99% pass rate! We are celebrating another excellent set of A Level results with a 99% overall pass rate and a 100% pass rate in 21 subjects, including English, History, Chemistry, Geography, French and Sociology. 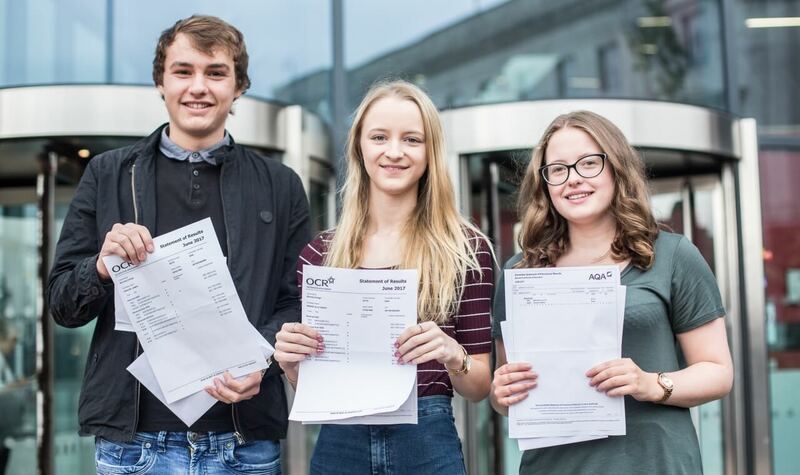 Nine out of 10 students achieved three or more A Level passes with a continuing increase in high grades. 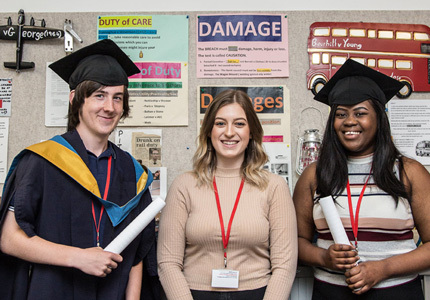 Many of our students are now looking forward to starting Higher Education courses at universities throughout the country, including Sheffield, York, Manchester, Bristol and Lancaster. Outstanding individual successes include former Horizon Community College pupil Ella Spence, 18, who achieved an A* in Maths and two As in Further Maths and Economics and is going on to Lancaster University to study Maths; former Holy Trinity School pupil Kienhan Powell, 18, who achieved an A* in Economics, an A in Business and a B in Law and is now going to the University of York to study Philosophy, Politics and Economics; Jessica Charlesworth, 18, a former Winterhill School pupil who achieved an A in History, an A in Classical Civilisation and a B in Law and is going to the University of Manchester to study Ancient History; and James Carlow, 18, a former Barnsley Academy pupil who achieved an A* in Maths, an A in Further Maths and an A in Chemistry and is going on to Lancaster University to study Engineering. Barnsley Sixth Form College Principal Liz Leek said: “We are thrilled to be announcing such excellent results and would like to congratulate our students on their achievements. This is the first year we have seen the full impact of the government’s A Level reform and I am very proud to see how well our students and staff have responded to these changes. We will be enrolling students for courses starting this September from Thursday 24 August.